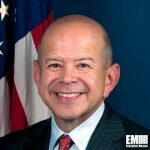 Michael Huerta, formerly administrator of the Federal Aviation Administration, has been named a senior consultant for Serco Group‘s aviation business in the U.S. He will provide strategic guidance and play a role in the development of Serco Inc.‘s global aviation strategy in his new position, the company said Friday. The Reston, Va.-based contractor offers ATC, simulation training, meteorological, radar engineering and maintenance, airport facilities management, ramp control, snow and ice removal, passenger and baggage handling, fire and rescue and meteorological services to aircraft operators worldwide. Dave Dacquino, chairman and CEO of Serco Inc., said Huerta will bring transportation sector experience and insight as the company aims to expand its aviation business. Huerta spent seven years at the FAA and previously served as president of Affiliated Computer Services‘ transportation solutions group. His public sector experience has included senior leadership roles at the Transportation Department and service as executive director at the Port of San Francisco for four years as well as commissioner of international trade and commerce at the New York City Department of Ports for three years.